The Fitbit BYOD program is the first digital health initiative launched within the NIH's major precision health project. The National Institutes of Health made it clear from the start that Fitbit’s wearables would play a key role in the agency’s ambitious All of Us Research Program. Now, eight months and more than 100,000 enrollees down the road, the agency and the device maker have announced that anyone who owns a Fitbit and has already enrolled in the program may consent to release the activity, heart rate, sleep and other health data stored in their Fitbit account with NIH’s researchers. Interested participants may begin syncing their data by visiting the “Sync Apps & Devices” page of the All of Us website. Users may use their Fitbit devices to directly sync their health data with the program, or manually input information such as weight or water intake into their Fitbit account and upload from there, according to a press release. This BYOD initiative is separate from the Scripps Research Translational Institute’s previously announced project within the program, which will provide 10,000 individuals with Fitbit devices for a more focused analysis. According to Fitbit, that project will be launching later this year. 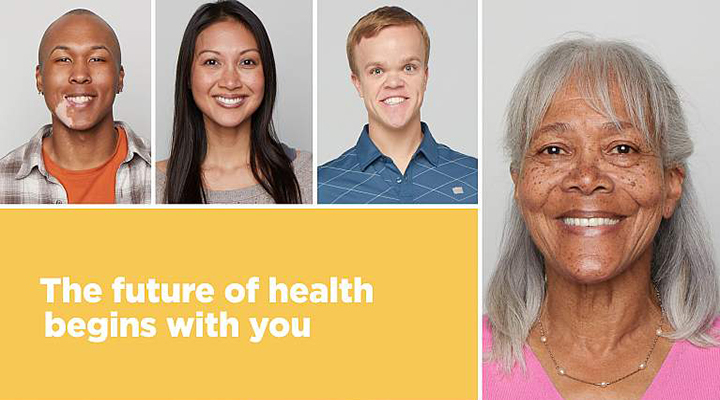 The All of Us program aims to establish a dataset of demographic, health, genomic and other health data that can be used by researchers of various disciplines for years to come. However, its end goal of a diverse, million-person cohort is no small feat, and will likely need all of the help from consumer devices that it can muster. The All of Us Research Program was established by the White House in 2015, then as the Precision Medicine Initiative Cohort Program. After a beta phase that enrolled 45,000 participants and 129 clinic locations, open enrollment in in the initiative began in May of last year. An update from All of Us’ chief engagement officer in October revealed that the program had registered more than 100,000 participants — 65,000 of whom had already completed the full protocol — and was looking to improve how its de-identified data would be made available to researchers.